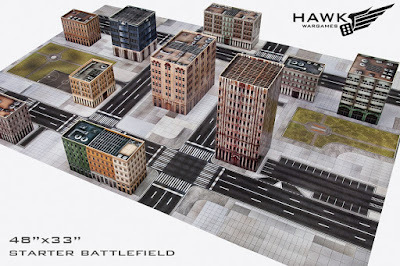 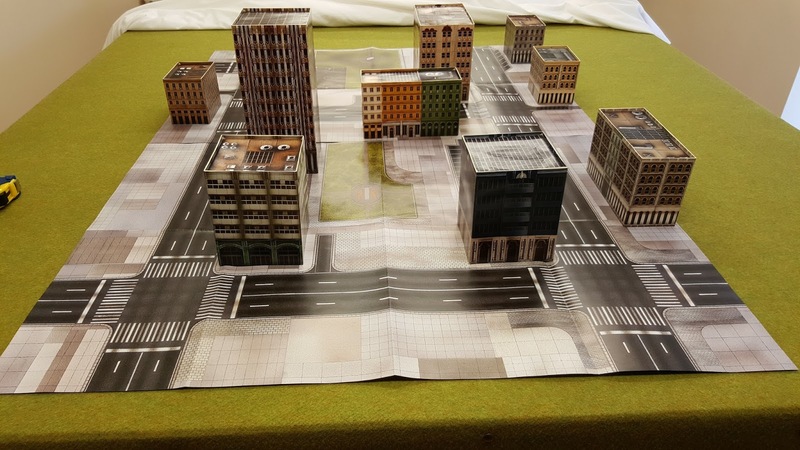 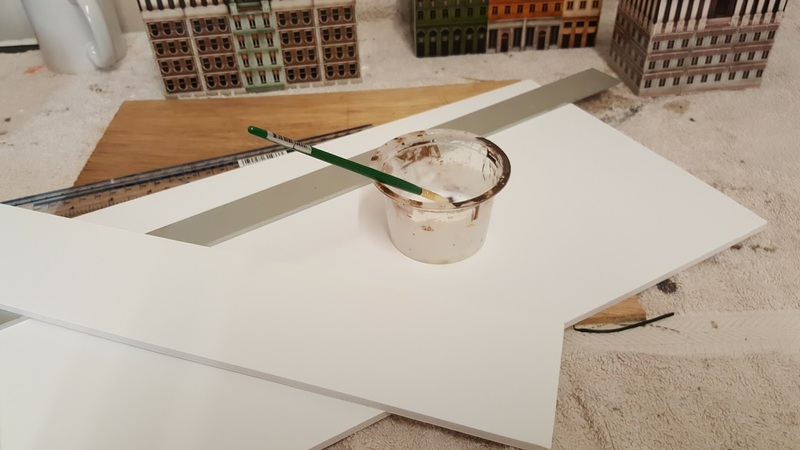 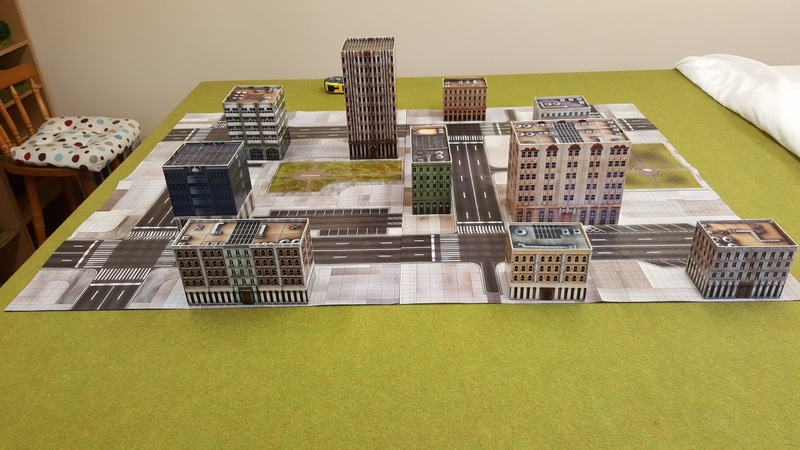 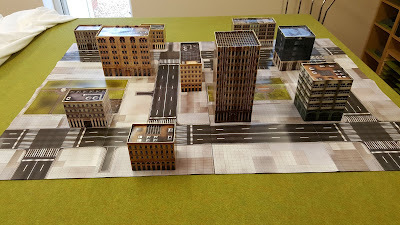 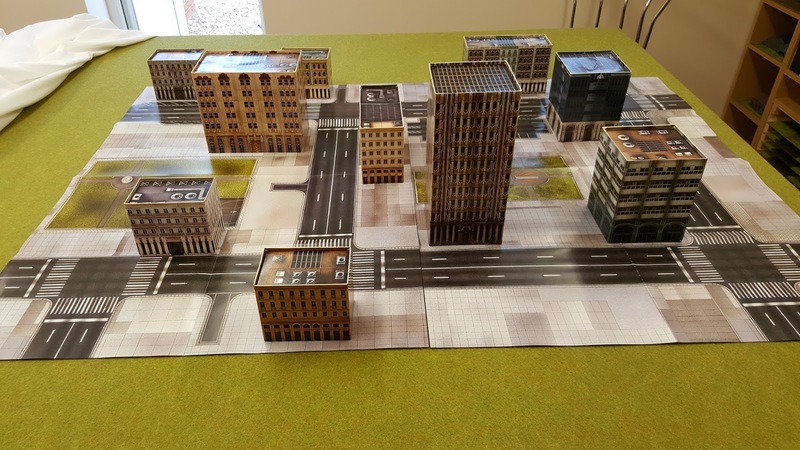 The Dropzone Commander urban battlefield starter set consists of the following 2 x Urban Streets Posters, will join together in 4 different ways to create a 48” x 33” road layout and 10 x Pre-cut, pre-folded card buildings in 10 different designs. 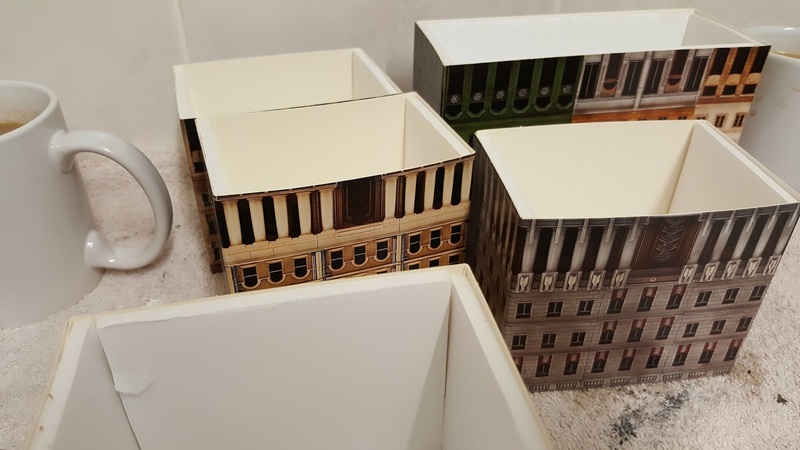 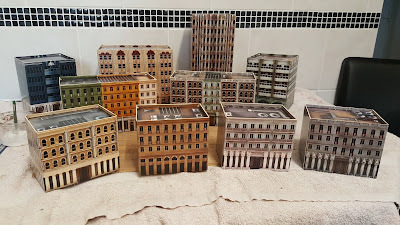 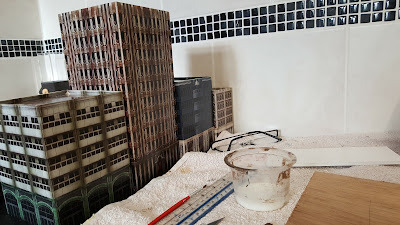 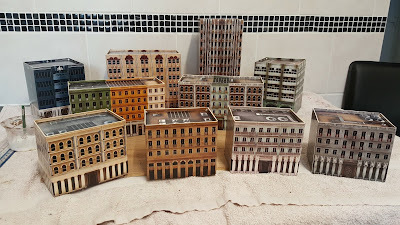 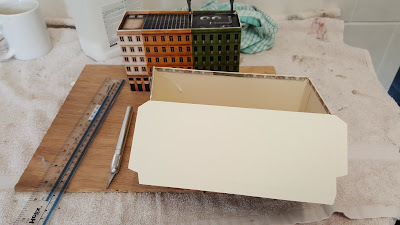 I decided to use foam board to strengthen all of the card buildings so they would stand up to the rigors of wargaming. 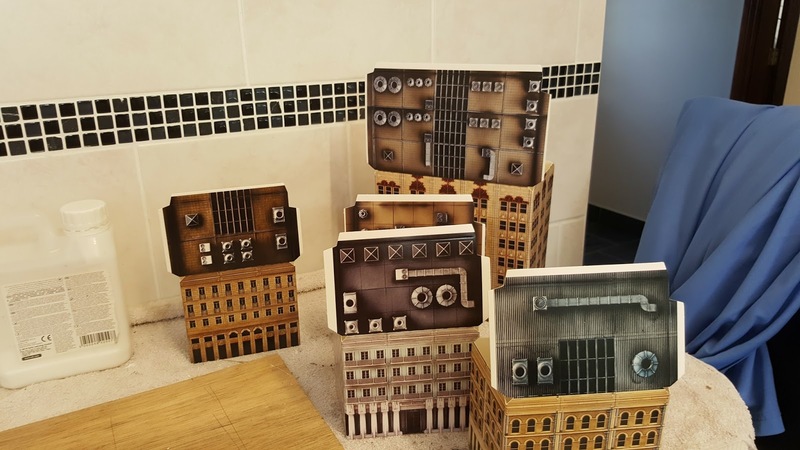 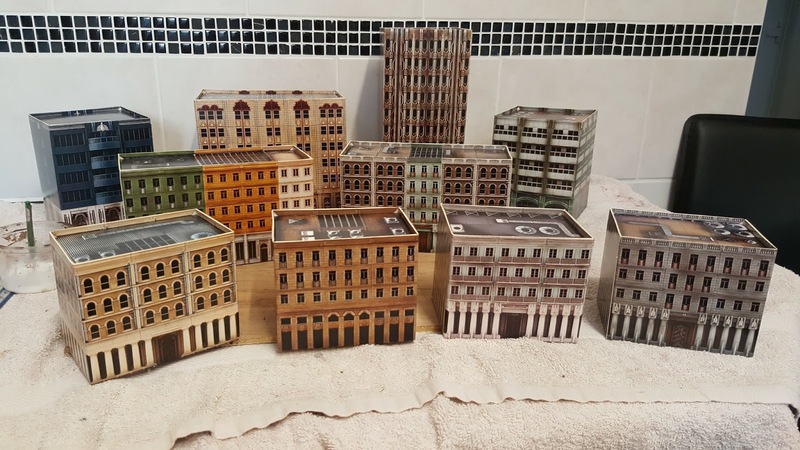 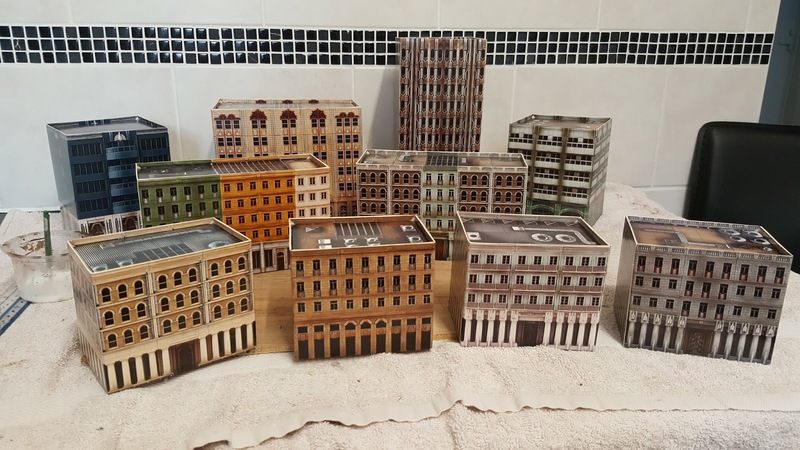 The finished setup, to be honest I'm rather impressed with these card buildings.